Forgive us for dwelling on the desert these last few weeks, but as spring is at the tip of nature’s tongue, the dry, hot, forever of the desert is exactly what we’re daydreaming about. 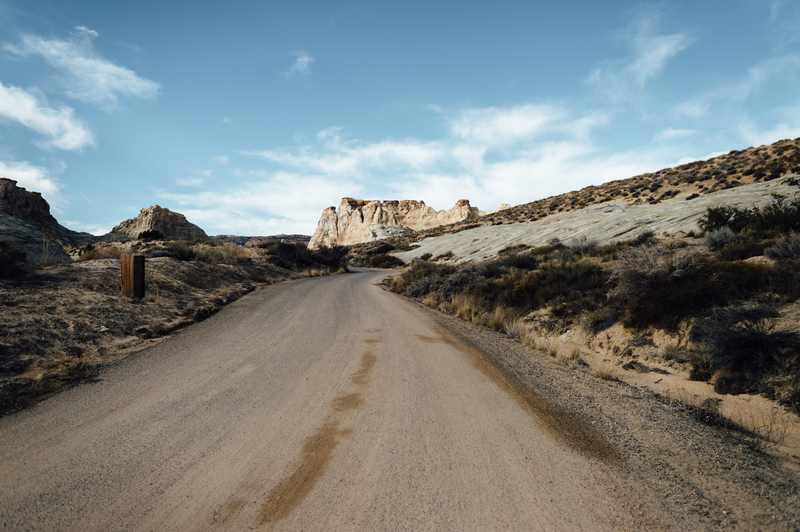 We long for those arid temps, those hard-baked landscapes, that hot, blue stretch of sky. The southerly lands of this salty state are assuredly god’s country, if ever there were one, and to surround one’s self with that space where dirt and horizon dance-but-don’t-touch is sublime. 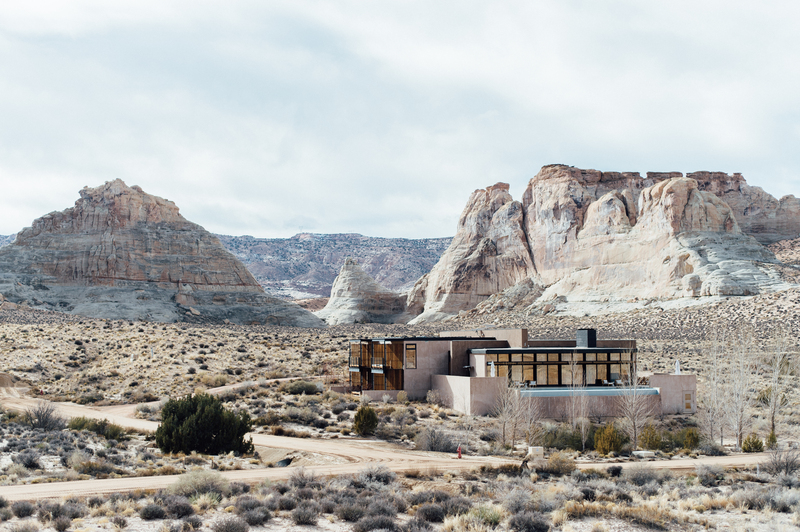 The quiet dignity of our desert has not been lost on visitors far and wide, and upon laying eyes on this area in Canyon Point, Southern Utah, Amanresorts International promptly snapped up nearly 600 acres of it to create one of man and nature’s perhaps-most-exquisite collaborations. 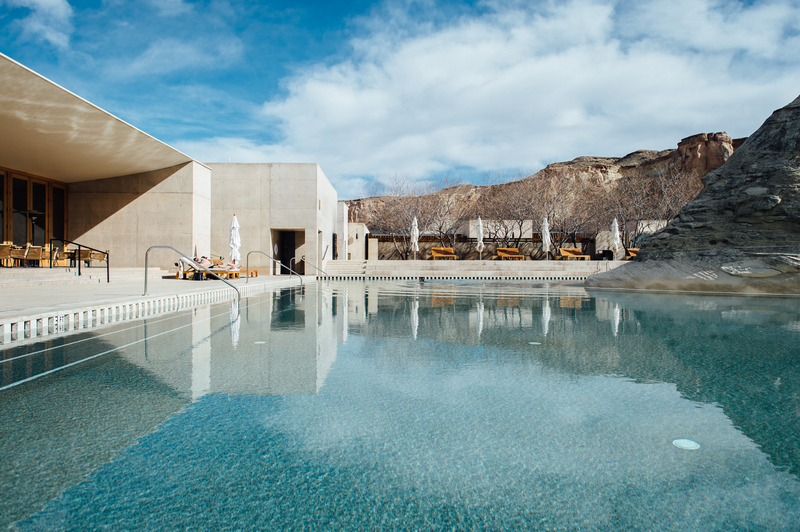 It’s called Amangiri, and it’s been beckoning high-end solace-seekers the world over since 2009. The only sign off the main road is a sort of blink-and-you-missed-it DIY marker. 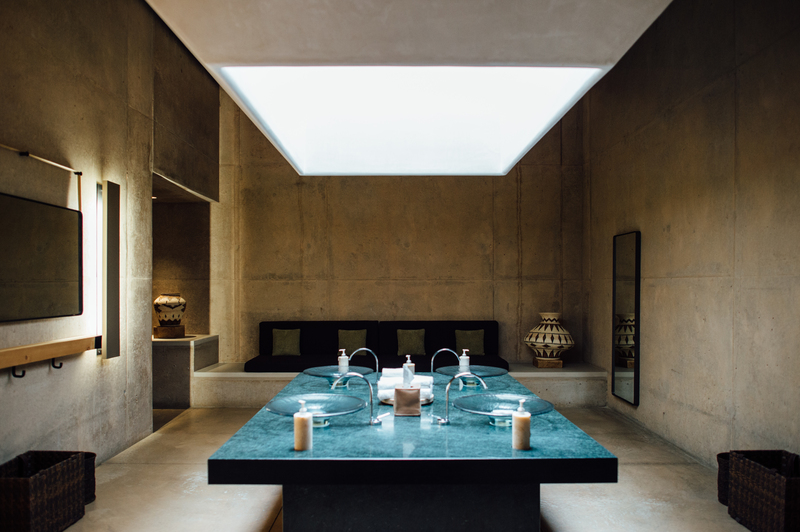 Amanresorts, a luxury hotel group with drop-dead dreamy spaces in 20 countries, pride themselves on developing luxe and tranquil destination resorts that pay ample homage to their natural surroundings. 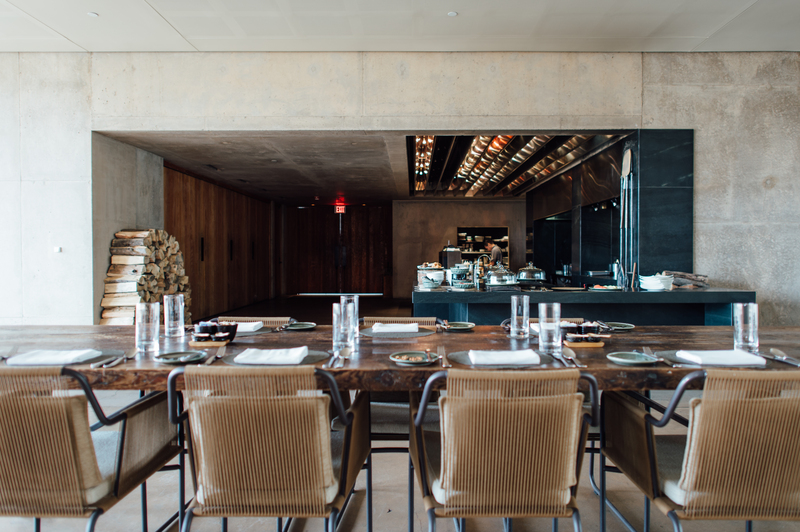 A simple recipe, sure, but what makes Amanresorts different from others of their kind is their size. Or rather, their lack thereof. 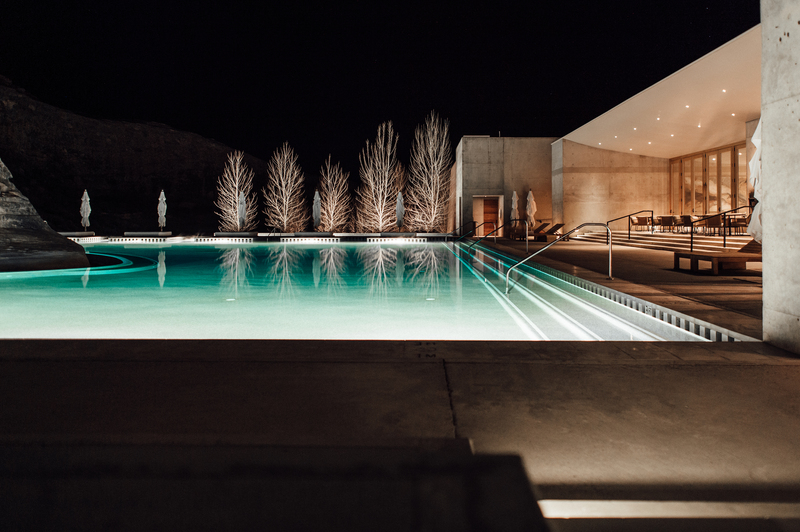 While many comparable enterprises strive to stuff as many penthouses as possible into a stucco structure, Amangiri houses 34 rooms in a nearly invisible-to-the-eye estate. 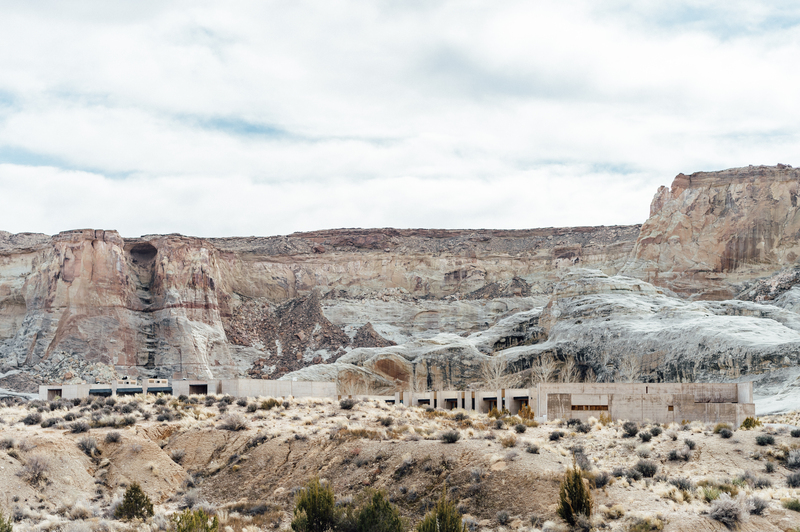 The exact address of the resort is 1 Kayenta Rd, but really, said address is superfluous, as it’s the only structure for miles. 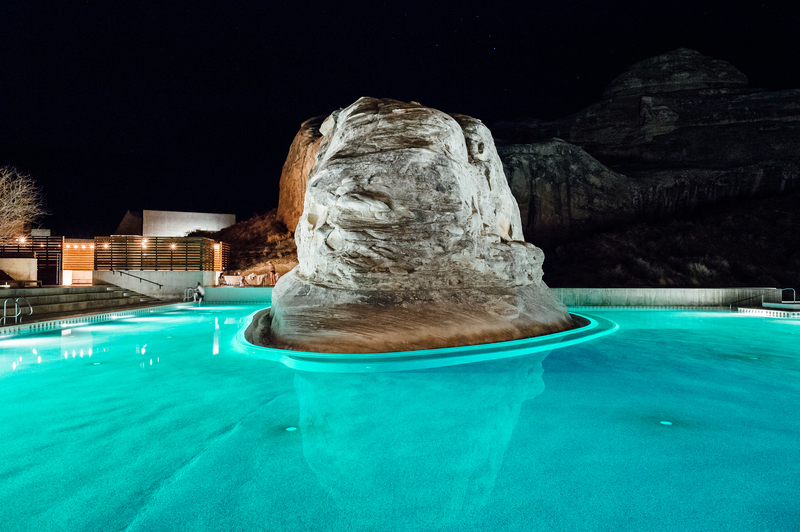 It’s located just a stone’s throw from both Grand Stairscase-Escalante National Monument and Lake Powell, and is surrounded on all sides by acre after acre of absolutely nothing. 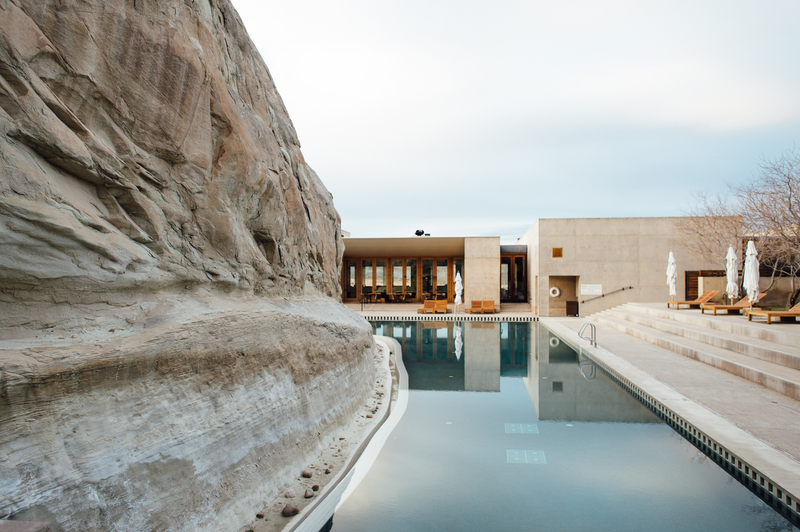 The cement mixture of which the structure is made was mixed with sands native to the area, giving it a warm, almost lit-by-sunset glow, and rendering it nearly invisible against the backdrop of water-warped cliffs. 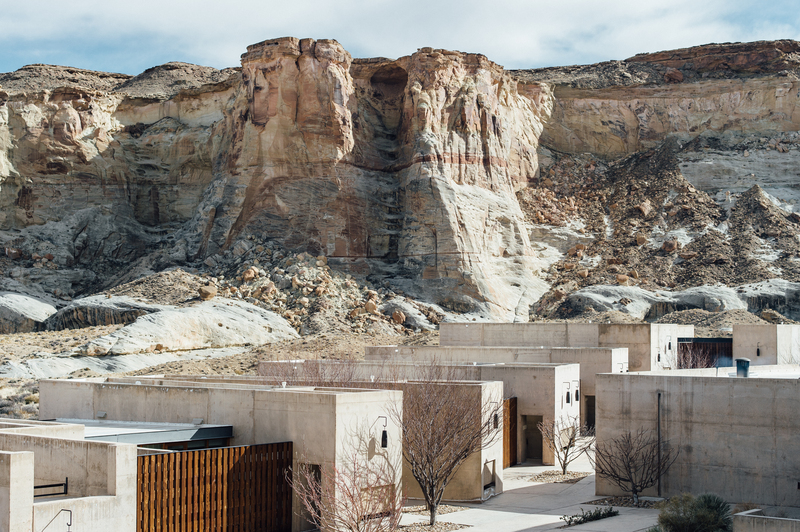 Amangiri, which means “peaceful mountain” in Sanskrit, Hindi, and Arabic, was artfully designed by architects Rick Joy, Wendell Burnette, and Marwan Al Sayed. 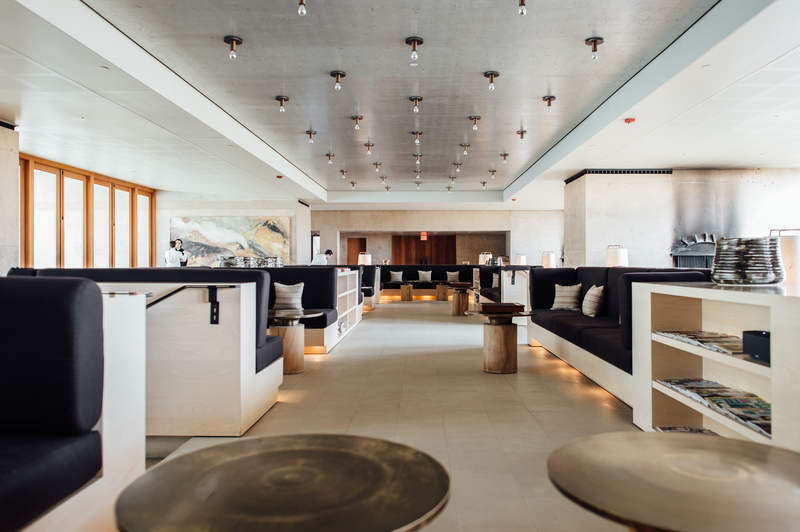 Just like the minimalist design of the structure itself, the high-end nature of the service and amenities give shotgun to their geographic surroundings. The staff flit about, all but unseen, anticipating your every need almost before it’s even a thought. 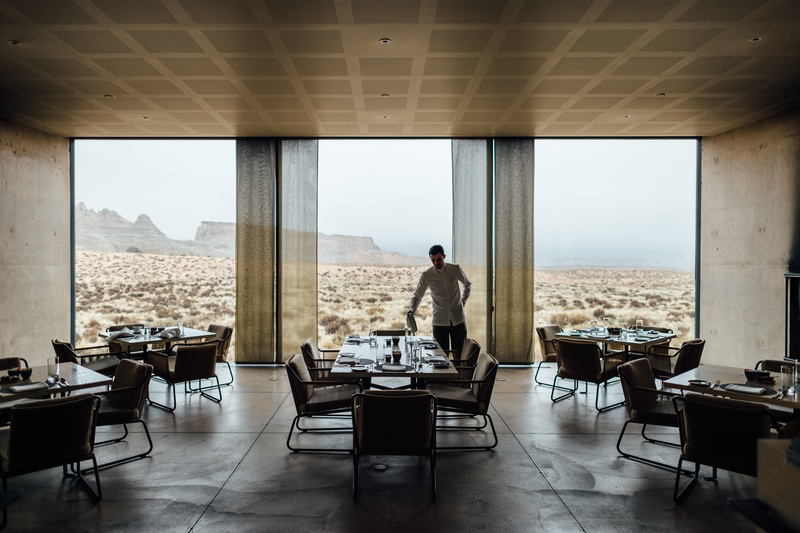 Amangiri’s main gathering area is akin to a very large (and very well-designed) hall, where one can grab local-inspired eats, drinks, or a game of chess. 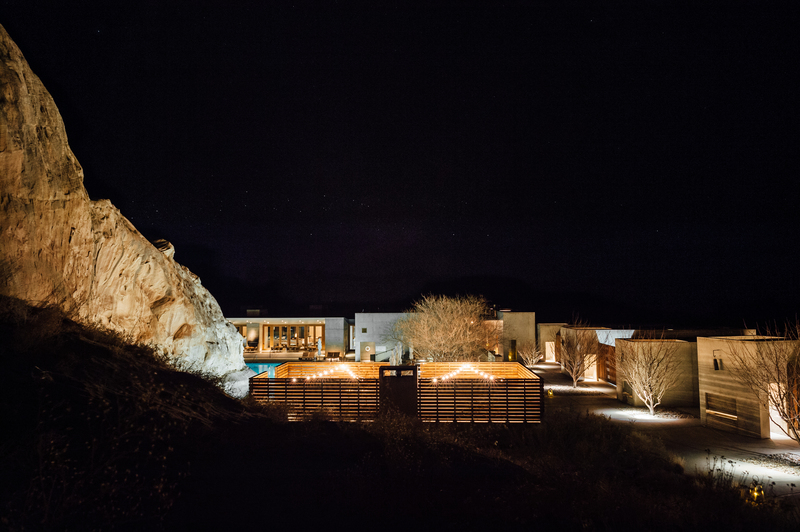 Outside, the grounds are peaceful, and the architectural layout of the resort lovingly echoes the stretch of desert that lays outside its walls. 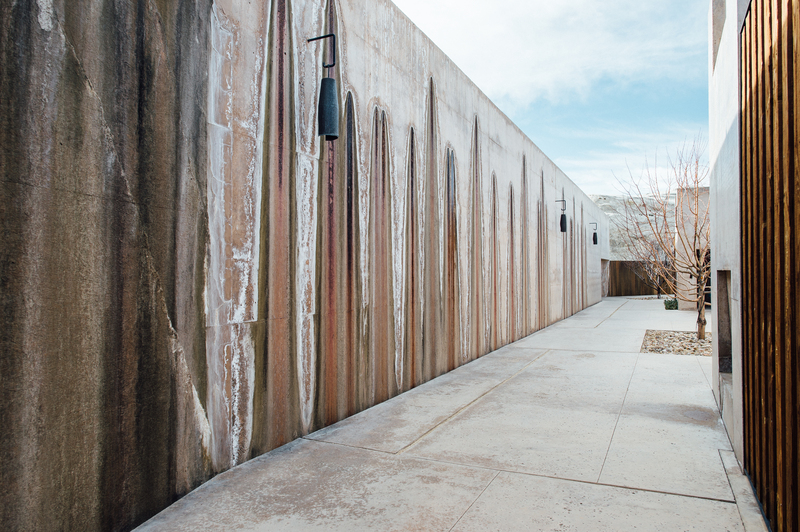 Warm tones, complementary lines, balanced geometric shapes, and more than a few slot canyon-esque corridors. 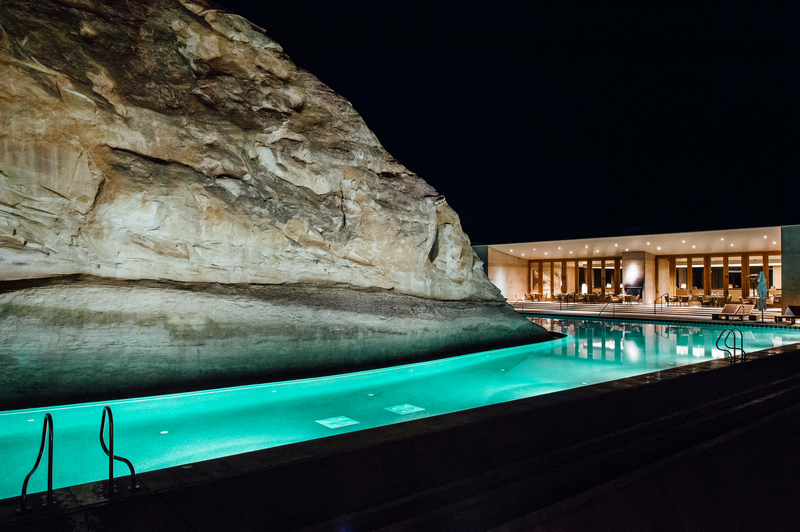 The pièce de résistance, perhaps, is the pool–which arguably started it all (it’s been said the shape of the rock formation around which the pool is built inspired Amangiri’s exact location). Borrowing flat lines from the horizon, the space is a fitting juxtaposition against the weather-worn curve of the earth. 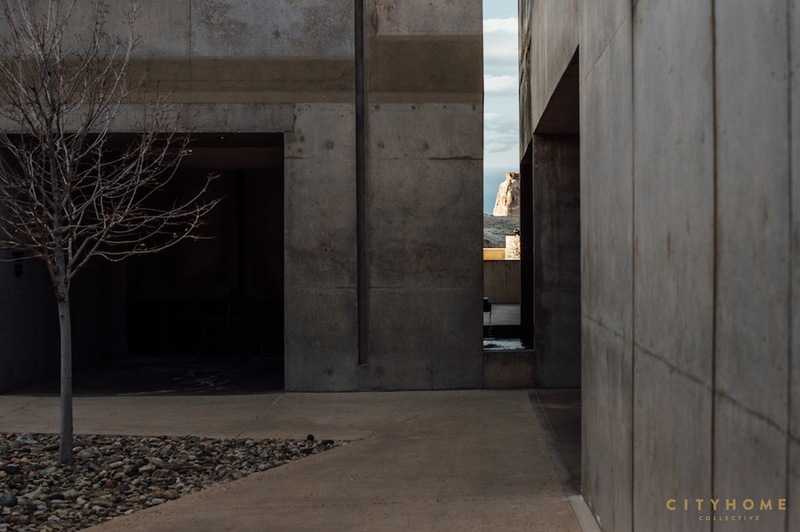 Both the grounds and the suites themselves have been minimally designed to grant focus to the surrounding landscape. Rock formations, warm-toned dunes, a smattering of wild fauna, and an endless supply of crazy-beautiful sunsets take center stage. 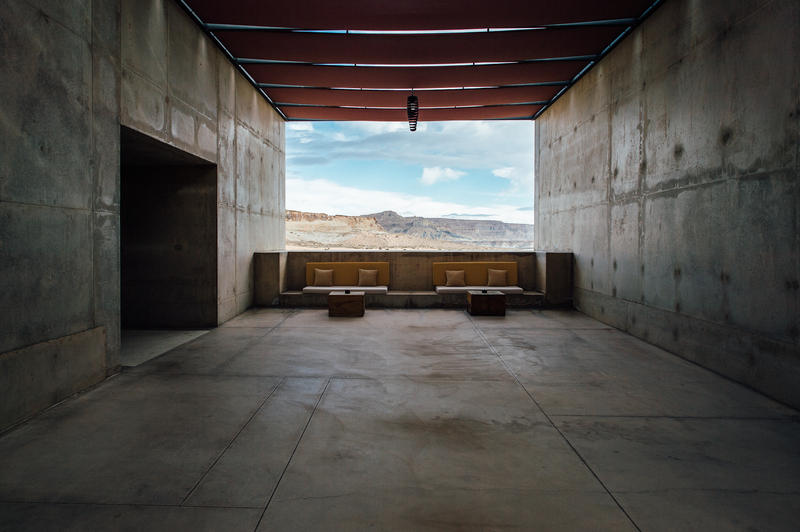 There are no gates at Amangiri. There are no boundaries. There are no separate outdoor spaces, there is simply “outside”. 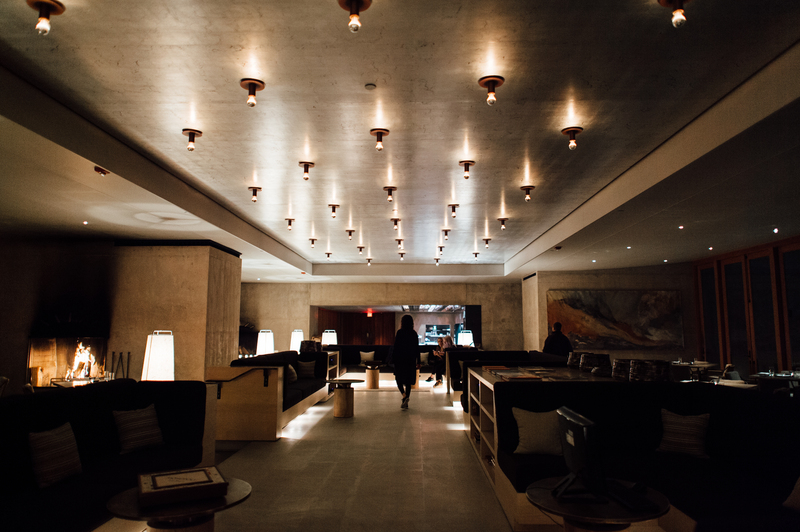 Each room is outfitted with a lounging patio and private fireplace; some feature a private pool or rooftop terrace. 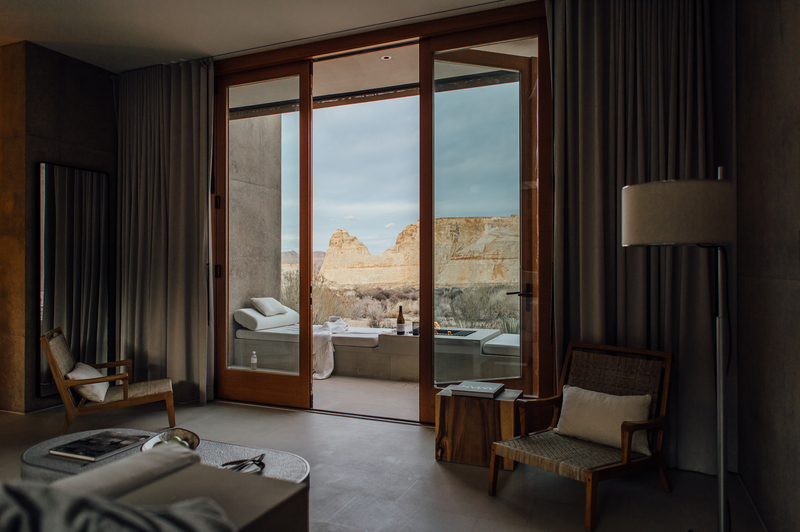 The northeast-facing windows from each suite serve uninterrupted desert vistas, and the view from the soaking tub is especially enchanting. (Upon arrival, one is merely asked to not venture passed one’s private patio to the north, for guest privacy.) 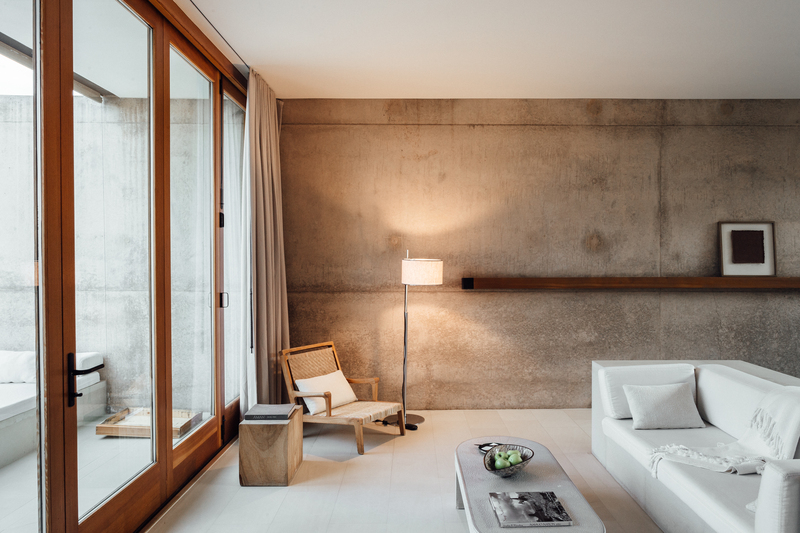 Inside each of the suites, one is met with white stone floors, nearly-bare concrete walls, and a mix of natural woods and blackened steel finishes. The zen-like rooms provide a blank slate, with the large, bed’s-end floor to-ceiling window acting as the centerpiece. It’s utterly relaxing. Perfectly peaceful. Your own private utopia. 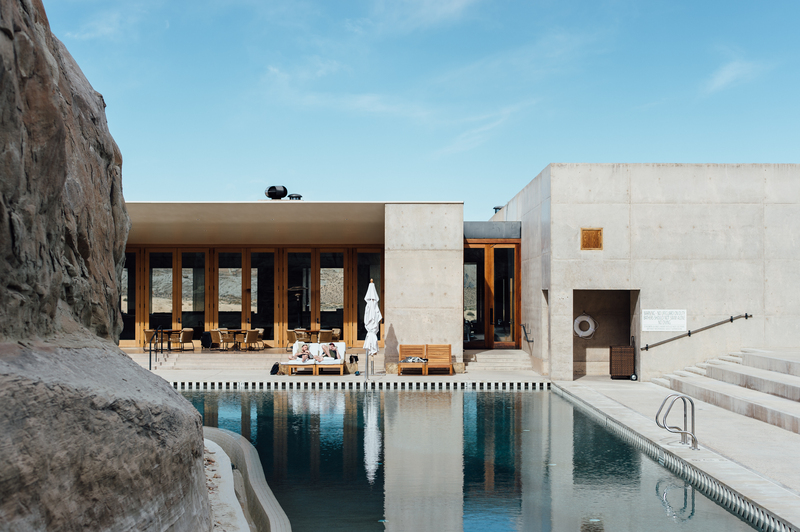 The Amanresort group seeks out “transformative experiences and awe-inspiring locations around the world,” and quite frankly, we’re honored to be ranked among their other idyllic locations in Turks & Caicos, Sri Lanka, France, Thailand, India, and Morocco. This place feels as sturdy, still, and timeless as the rock formations that envelope it. 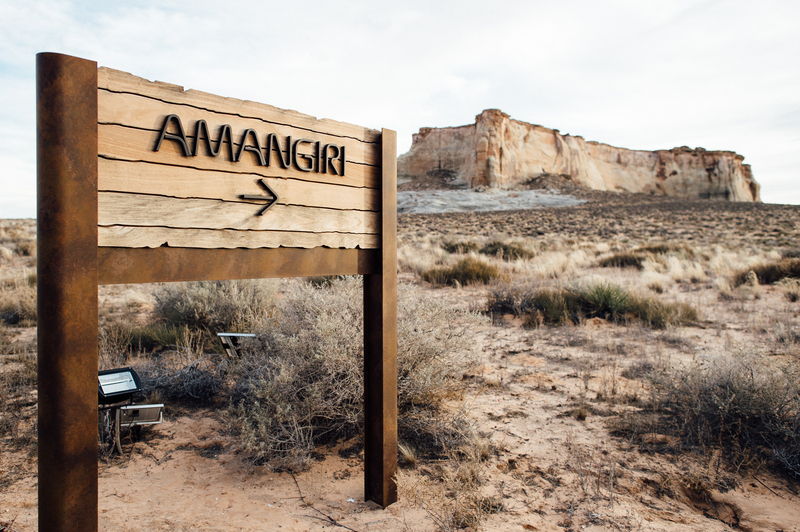 Every aspect of the Amangiri experience respects the land on which is sits, and aims to frame it with a muted brilliance. There is little need for distraction here. Those staggering views seem to do the heavy lifting just fine.